Seamlessly combine wine and technology to showcase your brand. 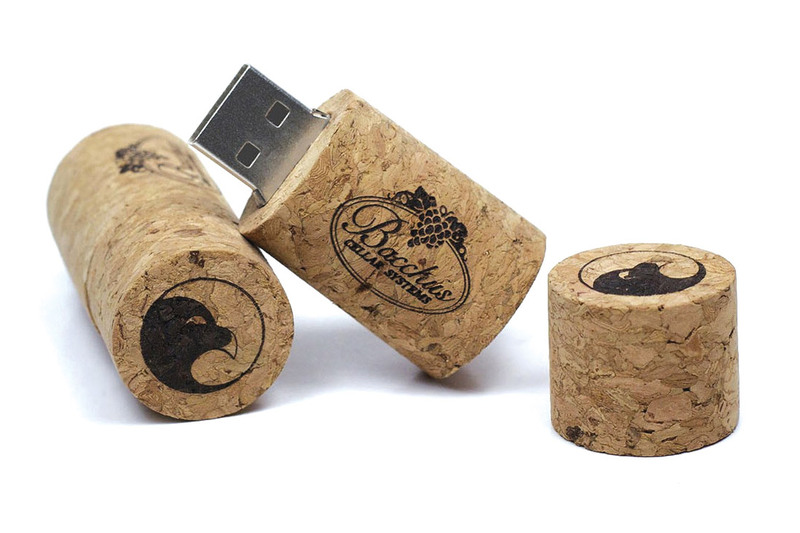 Our range of cork USB flash drives are the perfect office companion or complementary gift for any promotional event. Available in various storage capacities these branded USB drives provide a fresh take on your usual USB storage device. Branding can be printed in a variety of colours with your logo presented at both the top and bottom of the drive so that it’s visible at any angle. Our USB flash drives are a great complementary item to keep on your desk while promoting your brand and serving a purpose when called upon. Our USB drives are very durable and fully customisable with a range of print options to suit any brand request.